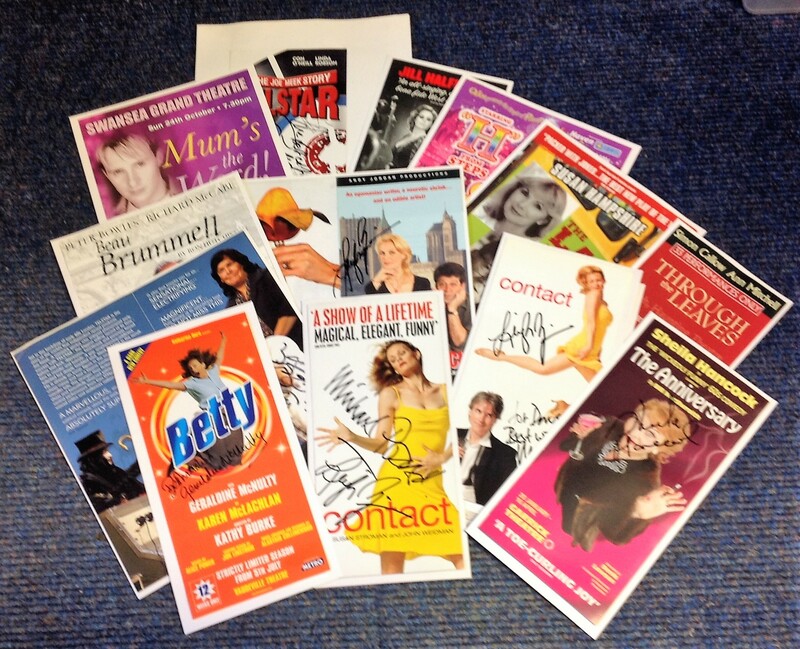 Theatre flyer signed collection. 14 items. Among the signatures are Linda Robson, Peter Bowles, Ann Mitchell, Con O'Neill, Jill Halfpenny, David Griffin, Ian Good, Susan Hampshire, Sheila Hancock, Geraldine McNulty and more. Some duplication. Good Condition. All signed pieces come with a Certificate of Authenticity. We combine postage on multiple winning lots and can ship worldwide. UK postage from £3.99, EU from £5.99, Rest of World from £7.99.